Julie Hagerty may be best known as a screen star now but she invested her time first in the modelling industry before hitting the big screen. Upon switching to acting, she picked up an early role in her brother’s theatre, where she debuted in the play Mutual Benefit Life in the year 1975. Julie eventually bagged her first on-screen role in the film, All That Jazz, but the part she played in the film was later cut out in the course of production. Today, she has grown to become a successful actress with a background in film, movie, and theatre. Julie, born Julie Beth Hagerty, was welcomed into a family with a history in the show business on the 15th day of June 1955. She was born on American soil, precisely in Cincinnati, Ohio, where she was raised along with his elder brothers Michael and Kim Hagerty. The names of their parents are Harriet Yuellig (mother) and Jerald William Hagerty Jr. (father). Harriet is a singer and model and William is a popular saxophone player/musician who is successful in his own right. The two divorced after the birth of their children. Julie’s eldest brother, Michael, was an actor and owner of a theatre, where his sister debuted as an actress. He was educated at Carnegie Tech, where he studied Theatre. Sadly, Michael died of AIDS in 1991, according to sources. Julie’s immediate elder brother, Kim Hagerty, works in a bank. The siblings are of Irish descent. The actress graduated from Indian Hill High School and later worked as a photographic model after she was signed by Ford Models at the age 15. After modelling for some time, Julie decided to quit the job. She spent a year in Paris and moved back to Cincinnati from where she finally moved in with his brother (Michael) in New York. While she was there, she began working in his theatre’s group (the Production Company), which he co-established with late director Norman Rene and writer Craig Lucas in the late 1970s. As a worker in the company, Hagerty used to sell tickets, scrub the floor, and also build sets. Julie eventually bagged her first acting role in the play, Mutual Benefit Life after Rene discovered her. So far, Hagerty has completed numerous projects in both films and television. Some of her film credits include Airplane! (1980), Larry Gaye: Renegade Male Flight Attendant (2015), Instant Family (2018) and Noelle (2019). She has also starred in the following TV series Wilfred (2014), New Girl (2016), Trial & Error (2017), Grace and Frankie (2018), and many others. The actress recently starred in the series, Black Monday as Jackie Georgina. Apart from Mutual Benefit Life, the actress also featured in the Broadway revival of Mornings at Seven, as well as in theatrical films like Lost in America, and Beyond Therapy. Julie narrated the audiobook version of Polly Horvath’s children novel, The Troll in 2000 and later took over as the voice of Carol on the sitcom, Family Guy the following year. She loves politics as much as she loves her acting career. Julie is a supporter of the Democratic party. From her career, the screen star has made millions of dollars, as well as fame and fortune. She stands out as one of the industry’s well-established actresses with a large following and many tasks to accomplish in the future. At the moment, her salary is under review. As for her net worth, it is yet to be publicly disclosed although some sources reported that she is worth $4 million. 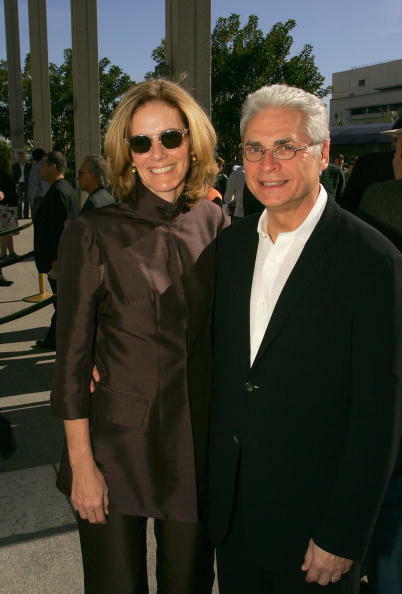 Julie Hagerty has not only been part of various movies in Hollywood, but she’s also been part of Richard Kagan’s life since 1999 when they said “I Do” in the presence of their friends, colleagues and family. The actress’s husband is an insurance executive. They met in California and ever since they got married, Richard has been very supportive of her Hollywood career. Prior to meeting Kagan, the actress was formerly married to a man called Peter Burki. They were legally joined as husband and wife in the year 1986. However, Peter and Hagerty decided to end their marriage in 1991, after living together for three years. There’s no information that suggests that the 1.7 meters actress has given birth to children either in the past or now.